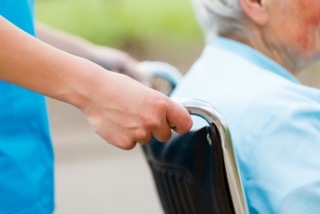 The legal wing of the AARP is suing a California nursing home that refused to readmit a resident whom the nursing home had sent to the hospital. The nursing home's actions are part of growing trend of resident dumping, according to the AARP. Gloria Single and her husband were both residents of the same nursing home. When Ms. Single, who has Alzheimer's disease, became aggressive, the nursing home sent her to the hospital for a psychological evaluation. The hospital immediately determined that nothing was wrong with Ms. Single, but the nursing home refused to readmit her. The law treats refusing to readmit a patient after a hospital stay as an involuntary transfer that a resident may appeal. Therefore, Ms. Single asked for a hearing with the California Department of Health Care Services (DHCS), the state agency in charge of monitoring nursing homes. The DHCS ruled in her favor and ordered the nursing home to readmit her, but the nursing home refused to act on the order. As a result, Ms. Single was stuck in the hospital for three months until she was eventually placed in a different facility where she remains separated from her husband. According to the lawsuit filed by the AARP, the nursing home felt free to disobey the DHCS's order because the state refuses to enforce readmission orders. NPR found that the state fined only 7 percent of nursing homes that were found to have illegally evicted residents and that if the nursing home was fined, the fines were relatively low. The AARP is seeking an injunction to require the nursing home to readmit Ms. Single and to stop dumping residents.